Just when you thought Valentines Day gifts couldn’t get any more extravagant! Award winning appliance manufacturers (and cool design kings) Smeg released a very special FAB28 red velvet refrigerator (it looks so good it could almost taste as good as Red Velvet cake, seriously! Anyway, its not all about a fancy fridge on V-Day, Smeg is also teaming up with Bentalls in Kingston-upon-Thames for a week of non-stop fun. From 7th to 14th February, Smeg will showcase their brand new, very special FAB28 red velvet refrigerator, which will be exclusively revealed to Bentalls’ customers and the UK for the very first time. To celebrate, Smeg has devised an exciting competition where one lucky person can win their own red velvet fridge and send a message of love, or even a marriage proposal, to the special people in their life thanks to a clever and innovative built-in fridge cam. During the event, customers will be invited to use the fridge cam and pose for a photograph alongside their own personal love heart message which they need to tweet with the hashtag #lovesmegfridge and #velvetvalentine to be in with a chance to win. Also don’t forget to look out for the SMEG500R, a limited edition, Fiat-styled refrigerator, which is also debuting for the very first time. But I haven’t got time for a competition, but I do have time for a new fridge! Tell me more! With a capacity of 256 litres featuring an ice compartment with a frozen food capacity of 26 litres, the FAB28 red velvet model comes with Smeg’s automatic defrost technology as well as three adjustable glass shelves, one fruit and vegetable container and a chrome wine rack. This fridge has an A++ energy efficiency rating and a 40dB sound level which is far lower than normal conversation levels at 59dB, making it perfect for open-plan living. 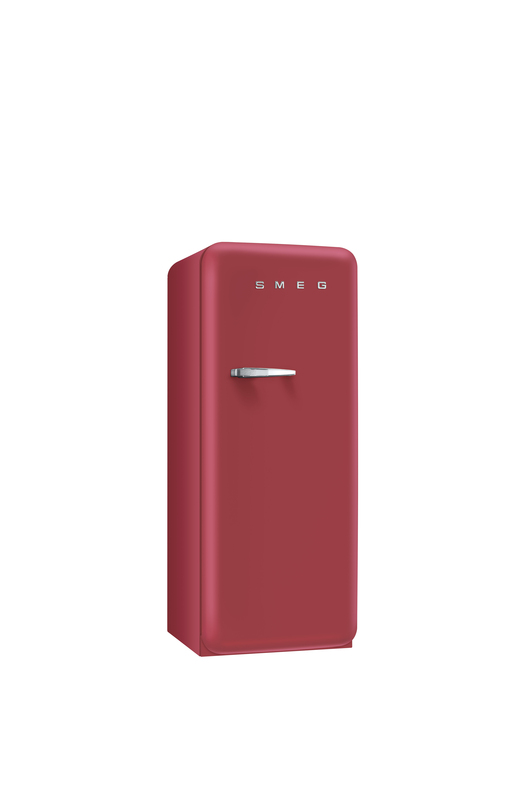 Priced from £1,275, the dimensions of the Smeg FAB28 measure 60cmW by 69.2cmD by 151cmH and this model is also available in 12 striking colours. Posted in Bargain Basement, The Eclectic Electric Store! Watching your weight? 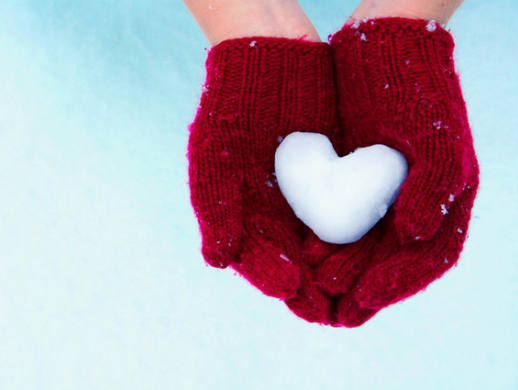 Its ok, you can still treat yourself with @weightwatchers hot chocolate! It may not be time for bikini bodies anymore, but you still might be keeping an eye on your weight…so what can you eat? Well, chocolate is normally a big no-no, but fear not, we think Weight Watchers may have just found the solution!! 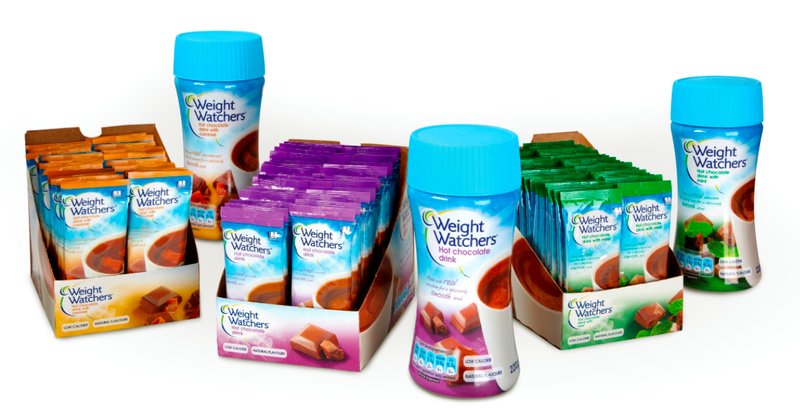 The new product team at Weight Watchers Hot Chocolate have been working hard with you in mind to develop a fantastic premium hot chocolate that delivers a more intense chocolate drink – and that’s low fat too! What’s more, it can even be used in home baking! We here at Snoochie Boochies gave it a try, and can seriously vouch for the fact that it tastes great! You could easily swap your calorific hot choc for this little number and you wouldn’t even notice the difference in flavour. In fact it tastes creamier and more luxurious than some of the market leaders, who knew?! 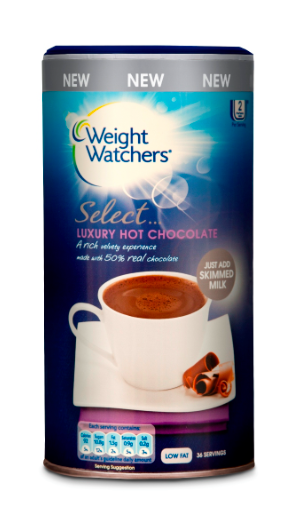 And if you’re keeping count of points, Weight Watchers Select Hot Chocolate will be a lower ProPoints® value alternative to other premium ‘add milk’ hot chocolate brands such as Green & Blacks, Twinings and Charbonnel. Weight Watchers Select Hot Chocolate’s unique formula contains 50% real chocolate but is still low in fat. Containing only 92 calories and with a ProPoints value of just 2 per serving, Select will be an indulgent delight for chocolate lovers looking for a real chocolate hit without giving up on the plan. The new hot chocolate drink will also offer tremendous value for money with an RSP of £2.49 for a massive 36 servings in the 216g tub. When compared with the established Weight Watchers Hot Chocolate instant range, the new luxury product also has the added benefit of being home baking friendly and can easily be used as a substitute for cocoa powder in sweet treats such as brownies, muffins and biscuits! Yep! Variety is the spice of life don’t forget, and Weight Watchers also has a range of different flavoured hot chocolate drinks that are all made with real chocolate and contain only 40 calories per serving. The three blissful flavours, which include smooth chocolate, dreamy caramel and mouth-watering mint, also cater perfectly for those on a ProPoints controlled diet, with a ProPoints value of just 1 per serving. Available in jars which hold 20 servings and have an RRP of £2.89 and in single-serving handy sachets with an RRP of 35p; all of which contain no artificial colours, flavours or preservatives. Weight Watchers is the leading weight loss organisation in the UK. The new Weight Watchers ProPoints® plan is the brands most liveable and flexible weight loss plan ever, designed to fit around real life so that people successfully lose weight and keep it off. 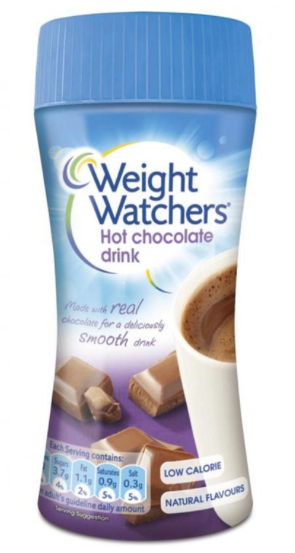 The Weight Watchers Instant Hot Chocolate range is now available across all major UK supermarket chains and selected high street and independent stores. 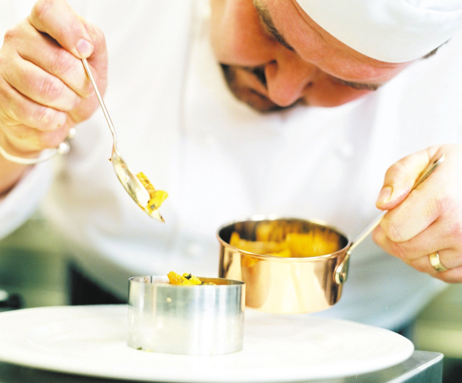 Bringing even more sunshine over from the United Arab Emirates, Jumeirah Restaurant Week is going global following its huge success last year. Now we can enjoy a taste of paradise between the 23rd May and 1st June. Featuring three-course set menus across 56 renowned restaurants worldwide, diners will be able to experience the New York-style Restaurant Week and get a taste for the great quality food and creative cuisine for which Jumeirah restaurants & bars have become famous. 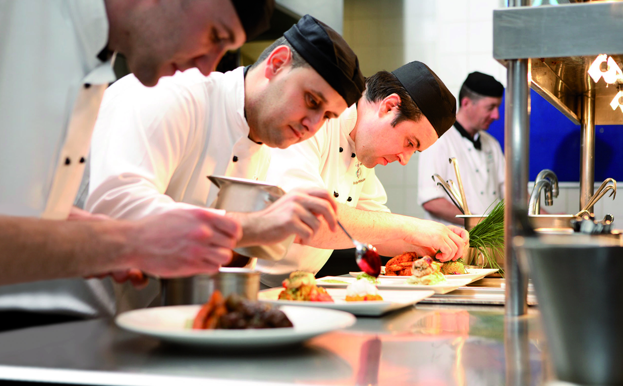 This year will see participation from some of Europe’s most popular restaurants and hotels including The Rib Room Bar & Restaurant at Jumeirah Carlton Tower London, Max on One at Jumeirah Frankfurt, Agatha Restaurant at Pera Palace Hotel Jumeirah in Istanbul and Cap Roig at Jumeirah Port Soller, Mallorca. 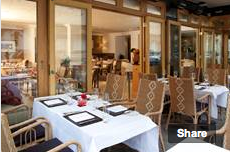 And if you happen to be on holiday further afield during the restaurant week – diners can also frequent Junsui at Burj Al Arab, Voi at Jumeirah Zabeel Saray, Pierchic at Madinat Jumeirah, The Ivy at Jumeirah Emirates Towers, La Parrilla at Jumeirah Beach Hotel, The Rib Room in Jumeirah Emirates Towers, Blue Flame at Jumeirah Creekside Hotel and Tori No in Jumeirah at Etihad Towers in the United Arab Emirates. As well as a selection of restaurants in Asia such as Grill Room at Jumeirah Himalayas Shanghai, Fenesse at Jumeirah Vittaveli and Johara at Jumeirah Dhevanafushi in the Maldives! Well, its not a bad price either! If you’re keen to make the most of this tempting offer you can choose from an exciting selection of set menus ranging from £29 at either The Rib Room Bar & Restaurant or Lowndes Kitchen & Bar in London to $70 at Johara Restaurant at Jumeirah Dhevanafushi in the Maldives.